Their existence goes mostly undiscovered until the arrival of 12-year-old Shou. When Shou begins to noticesmall things going missing, he becomes suspicious. He soon meets Arrietty and strikes up a friendship that neither of them could have seen coming. 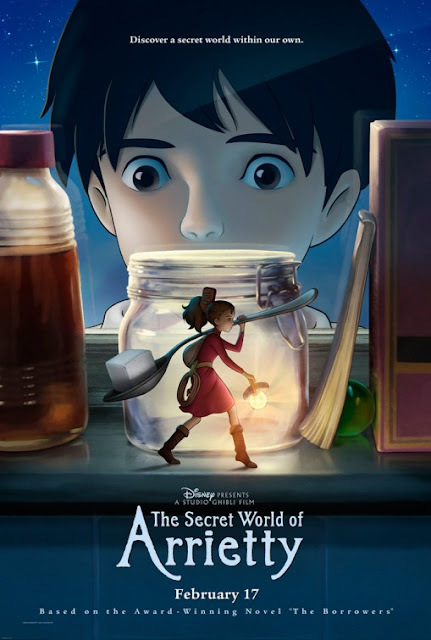 However, this is a friendship fraught with danger due to the obvious risk of Arrietty and her family’s discovery, something that could send the borrowers right into the hands of those that would do them harm. In Karigurashi no Arrietty, Studio Ghibli presents audiences with a beautiful look at the human world… from a much smaller perspective.